While Thomas and Jasmine were at Forest School this afternoon Ben and I went for a walk around Richmond Park. My mum was with us today too, as she has been staying with us for a few days. It was a lovely sunny afternoon and we took a different route to our usual one, walking further down the hill from Pembroke Lodge towards Richmond Golf Club. On the way we saw lots of Jackdaws and we think we heard a Woodpecker but despite looking in several trees for at least 20 minutes we couldn’t see it! The best find of the day however, came just as we were thinking of turning round to walk back up the hill. About 40m in front of us I spotted something move. I have seen the odd rabbit in the park before so thinking we might be lucky I looked in the binoculars and it was a little rabbit. As we looked we saw more and more rabbits appearing! 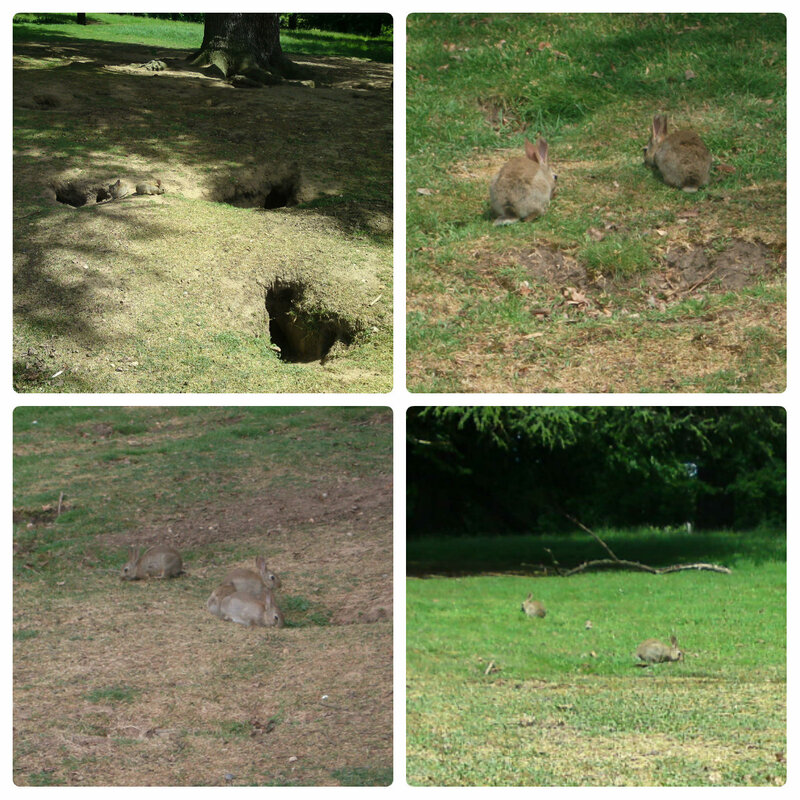 We walked closer and found a huge rabbit warren with several large holes in the ground, under an old Oak tree. Hopping around were eight or nine very cute little rabbits! We sat and watched the rabbits for a while but had to go back to the car because it was time to collect Thomas and Jasmine. Now I know where the warren is though, we’ll definitely all be back to watch the rabbits again. There is something really lovely about watching wild rabbits hop round so close!